Om Gam Ganpate Namah!! Here we are going to provide you Ganesh Ji ki Aarti Lyrics in Hindi and English.Sri Ganesh Ji ki Aarti Lyrics in English is for those persons who aren’t able to recognize hindi words properly. 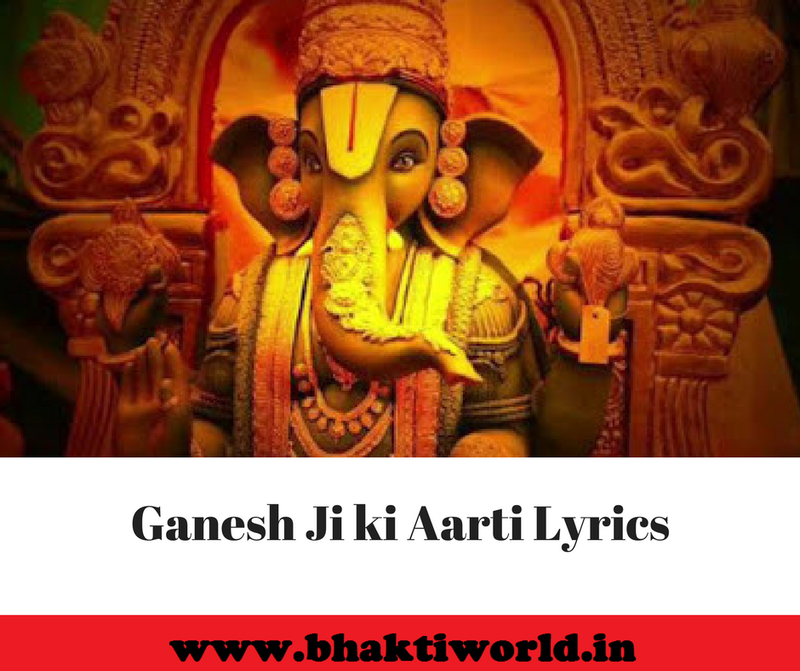 There is an another reason for providing Ganesh Ji ki Aarti Lyrics in English because we should pronounce all the words clearly then that words will give benefits to us. Here you will also get some images, videos of Lord Ganesha. 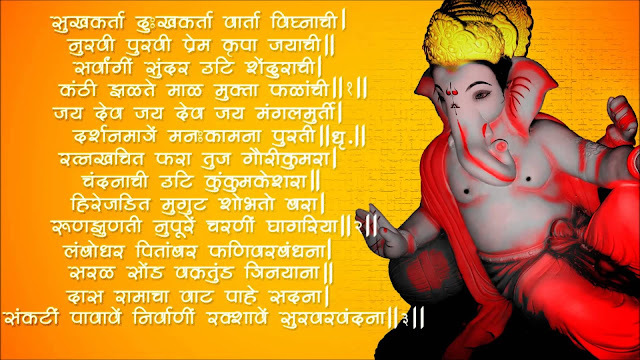 Lord Ganesha is very close to kids because we have ever listened his story when he was a kid. there is a short story of Lord Ganesha when he was very small. One day Lord Vishnu or Parvati said to their both children Ganesha and Kartikey to go and roam the whole world by 7 times then both brothers were readied to do this.The Vahana (Vehicle) is Peacock (Mayur) and the Vahana of Ganesha is Mushak (Mouse).Kartikey sat on his vehicle and started his journey of the whole world but Ganesha got confused that how i can travel to the whole world on this mouse.Then Ganesha thought for several minutes and sat on his vehicle and started taking round of his parents (Lord Vishnu and Parvati).Then Narada asked Ganesha that why are you taking round of your parents then he said that my parents are my whole world for me taking round of my parents 7 times is equal to the round of whole Universe 7 times.This story tells that Lord Ganesha is very respectful and very ideal to his parents as he means Universe is as equal as his parents.Almost, in every story of Ganesha you will get some interesting moral to learn.